Co-Optimus - News - Doom Classic Now Available for iPhone. Has 4 Player Co-Op! Doom Classic Now Available for iPhone. Has 4 Player Co-Op! 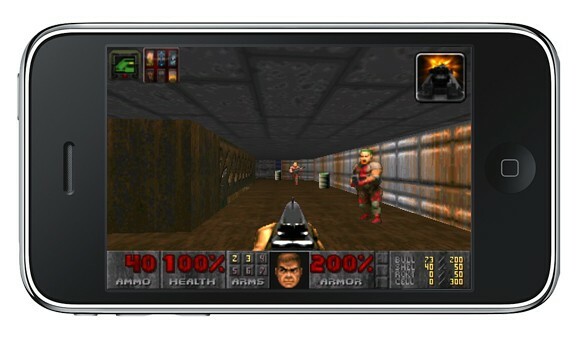 id's timeless classic DOOM game has found it's way onto another platform, the iPhone/iPod Touch. I believe this makes it the game's 4,371st different platform - including the calculator, handheld, console, downloadable, web, java, and toaster based versions. The iPhone version includes four episodes: "Knee-deep in the Dead," "Shores of Hell," "Inferno" and "Thy Flesh Consumed." There's multiple control configurations, custom soundtrack support and quick save options, but the best part is the game supports four player co-op via local wi-fi play. The game will set you back $6.99, which isn't too shabby for a full featured version of the game. If you're looking for another excuse to pick up DOOM, this is probably it. Page created in 0.2202 seconds.